Online freight quote calculator for USA | Free with no sign up! With our online freight quote calculator, what you’ll see is what you’ll pay. No hidden charges whatsoever. So if you’re thinking of shipping to or from the USA, try it out now. It’s free. Join over 2,000 US importers, retailers and individuals using our online freight quote calculator for free. Call us toll-free at 1-877-901-2004. Or better yet, try our free online freight quote calculator now. We make your cargo movement simple and easy. Read on to learn more. 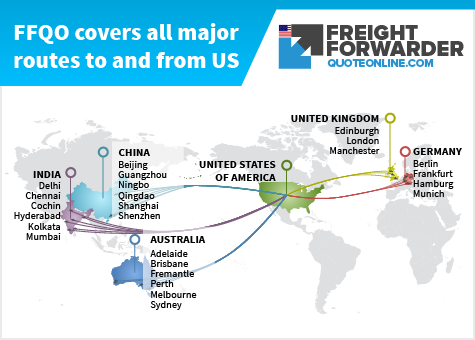 Below are the major freight routes we cover, but we have more 40,000 overall. Apart from our wide network, we also take measures to ensure that your cargo arrives to its destination on-time and in good condition. Go to these links to see the what we cover for major US airports or seaports and international airports or seaports. Our vision is to be at the top of the online freight forwarding business in the USA — it’s that simple. Click here to read notes on “The five essential things for customs clearance.” We have details on sea freight customs clearance as this involves Importer Security Filing (ISF). Freight Forwarder Quote Online (FFQO) specializes in air and sea freight (FCL and LCL) import and export to and from the USA. Our freight forwarding service is founded on our rich knowledge and experience in international trade and customs brokerage practices. We are committed to giving our best in service satisfaction. To be at top of the online freight forwarding business in the USA — it’s that simple. To provide “top of the line” import and export freight services via air and sea in a fast, friendly, reliable and cost-effective manner. We will give you full-costing with no surprise charges like other forwarders. We make no room for late deliveries in our midst. You’ll find us on the go to complete your specific freight needs, all the time. Have questions or concerns? We don’t just deliver. We care. Talk to us today. You’ll need someone to depend on when fulfilling your freight delivery needs. Why look elsewhere? The answer is right in front of you. Here at FFQO, we are prepared and determined to give you less overheads better than what our competitors can offer. Use our online calculator and instantly see the reduced pricing we can give you. Why think twice? Fast, friendly and reliable service for the best cost-effective solution awaits you. Get your free quote today. “We always receive calls from individuals, retailers, importers and exporters looking for instant online quotes without the hidden fees. 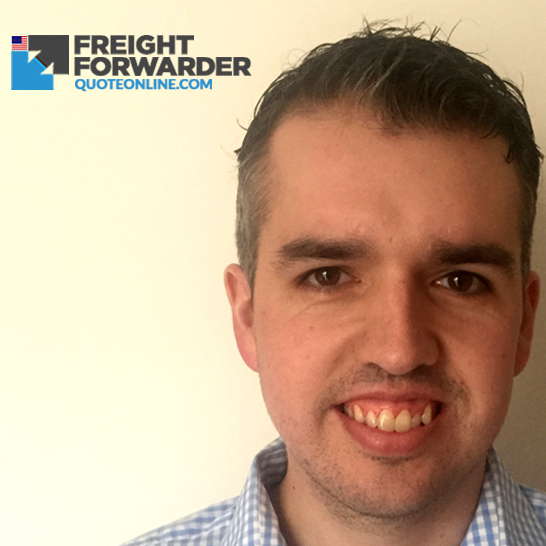 People are tired of wasting time calling or emailing for hours getting prices, only to realize later the freight quote did not include everything and they need to pay more. That’s why we built this online freight calculator. It gives an all-inclusive quote with air vs sea so it’s easy to work out what is best for you.